To Be Built New Construction 3 Bedroom With Walk-Out Basement Home Of Your Dreams To Be Complete June 2019. This Home Features An Open Concept With A Large Kitchen And Walk In Pantry, A Dining Area Overlooking A Spacious Living Room With A Mudroom Off The Attached Garage. Hardwood Floors 3/4 inch, Granite Counters On All Hard Surfaces And Stainless Steel Appliances All Standard. 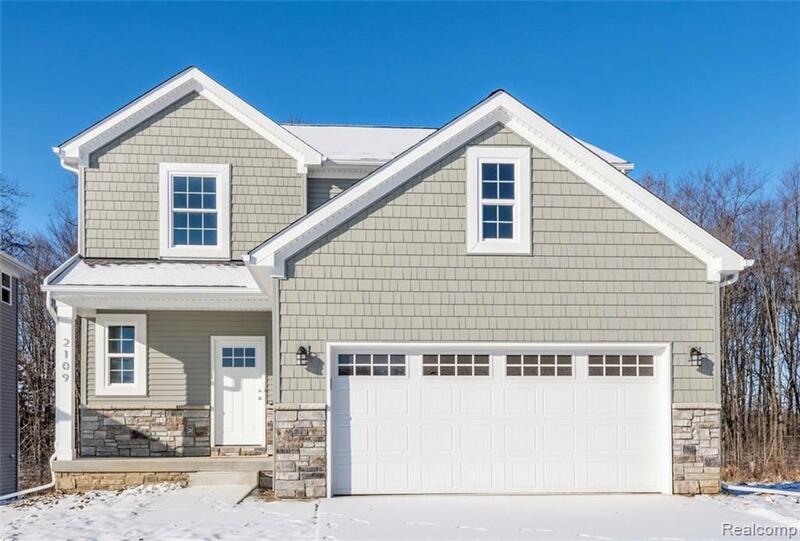 2x6 Construction, 3/4 inch Hardwoods, 9' Ceilings on 1st Floor, Carrier Furnace, GE 4 Piece Stainless Steel Appliances Package, Jeld-Wen Vinyl Windows And Door Wall, Glen-Gery Cultured Stone, Full 8' Basement Wall With 10' Thick Poured Concrete. Easy Commute; Only 8 Min From I-75; 12 Min From US-23, Near Historical Downtown Holly And Downtown Fenton. Home Built By "Horizon Homes".